Does your engine blow blue smoke when idling, does it smoke blue going down the road? Chances are you have worn out valve guide oil seals in your engine. I will show you how easy it is to replace them and with a few simple hand tools. 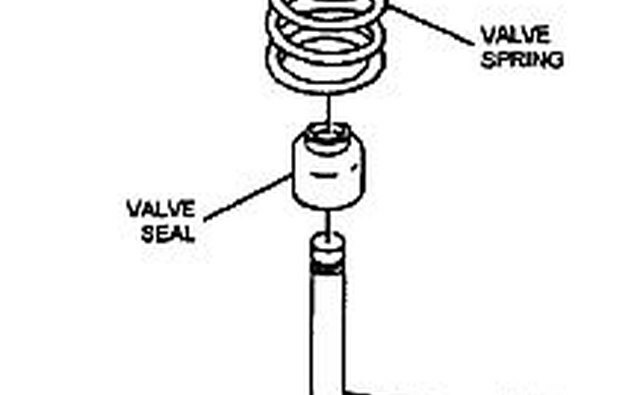 Disassemble your engine down to where you will have access to the valve spring. You will need to remove the cylinder head cover, the rocker arms and the push rods. You will also need to remove the spark plugs. Next turn on your air compressor and regulate the air 60-90 psi, turn the crankshaft until the cylinder you are replacing valve seals on is on top dead center. Screw the compression gauge hose into the spark plug hole, attach the air compressor hose, your cylinder is now pressurized. The valves will stay in the closed position as long as the air pressure is holding it up. 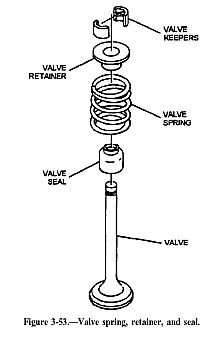 Using the valve spring tool, compress the valve spring and remove the valve keepers with a magnet. These may be stuck to the valve spring retainer and a little bump with the palm of your hand or a small hammer will jar it loose. Pack towels around the area so you won't lose the keepers into the engine. Remove the spring. 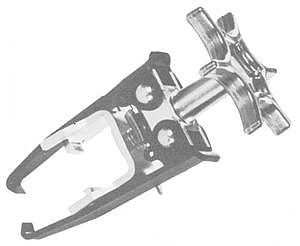 Remove the old valve seal with pliers or screwdrivers and replace with a new seal. Reverse procedure to reassemble engine, use the magnet when installing keepers and after removing valve spring compressor tap the top of the valve lightly with a hammer to seat the keepers. Take your time and the repair will go smoother, use a service manual for torque specs when reassembling the engine parts. Clean all old gaskets off during disassembly and assembly will go smoother. Wear safety glasses as you will be working with compressed springs and small parts. Keep a clothespin handy in case your air compressor dies or you need to shut down for any reason, clip the clothespin onto the valve to keep it from dropping into the engine. 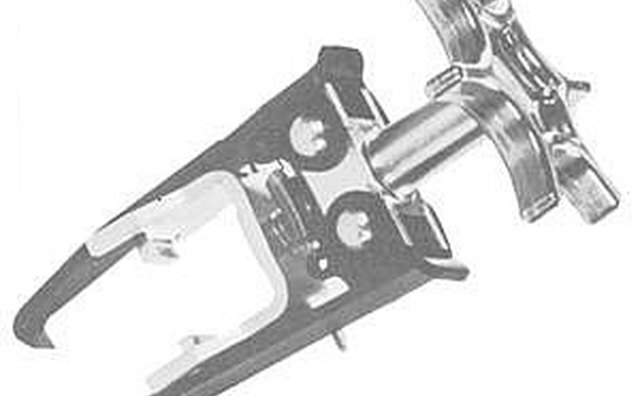 If a valve drops into the engine you will have to remove the cylider head to repair it.